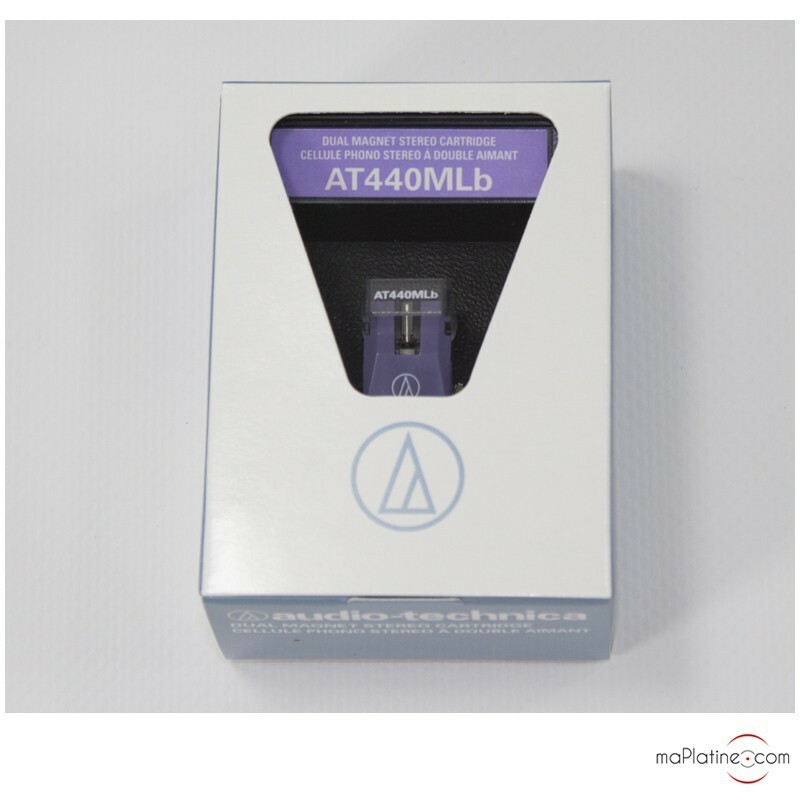 Audio Technica's AT 440MLb cartridge partially features the innovations and technology developed for the AT150 MLX. To be able to sell it at a more affordable price, the designers had to make a few compromises, without losing the brand's signature features. Like its big sister, it features the great Microline stylus! It is entirely fitted to a conical aluminium cantilever; it is not bonded like on most MM cartridges. 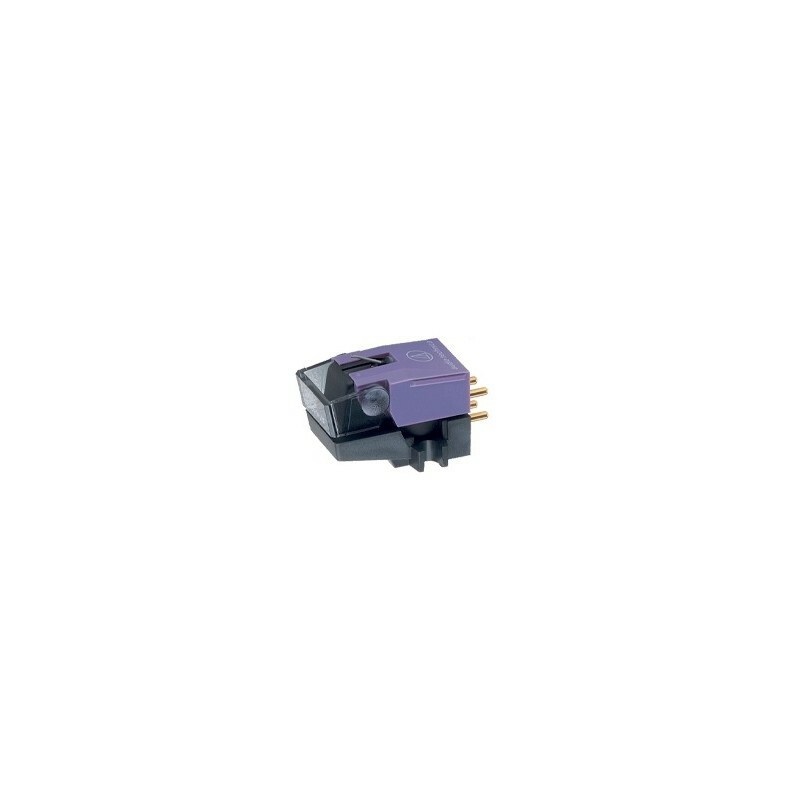 It guarantees a better response in the high frequencies, as well as lower distortion across the frequency range than an elliptical stylus. Also note that this profile is less prone to wear. The 'VM Dual Magnet' motor consists of dual magnets and para-toroidal coils that use high purity PCOCC copper conductors. 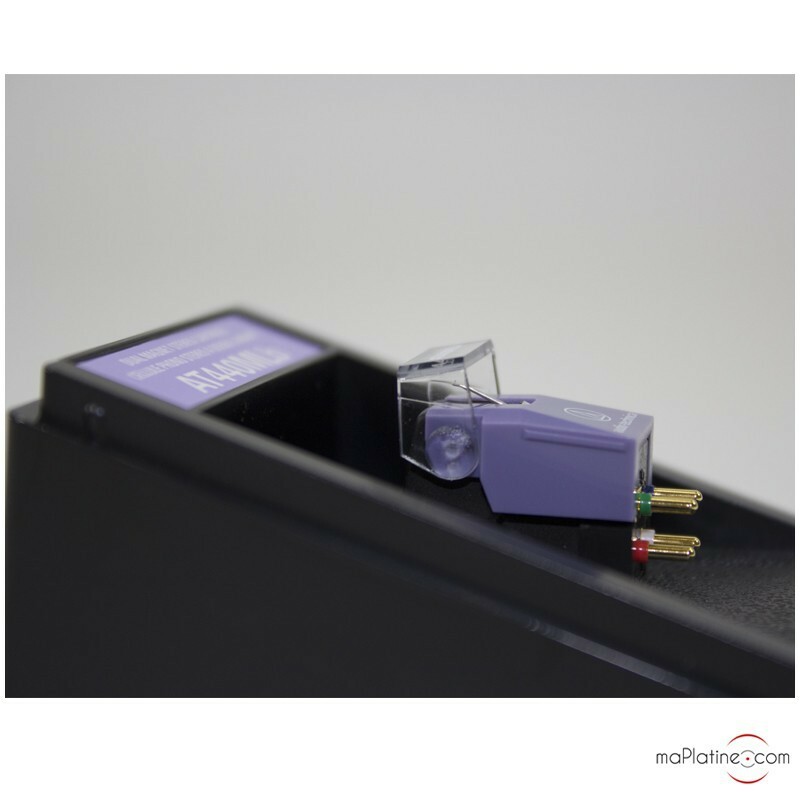 The structure has been optimised to minimise vibrations in the cartridge body for a precise and clear playback. 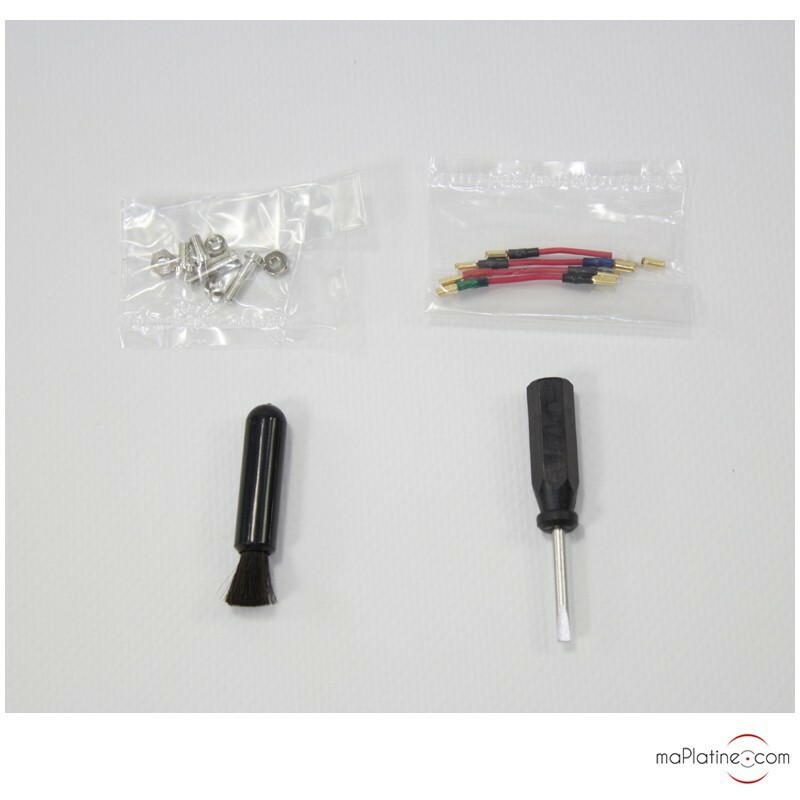 The connectors are gold-plated to provide the best contact and prevent oxidation over time. 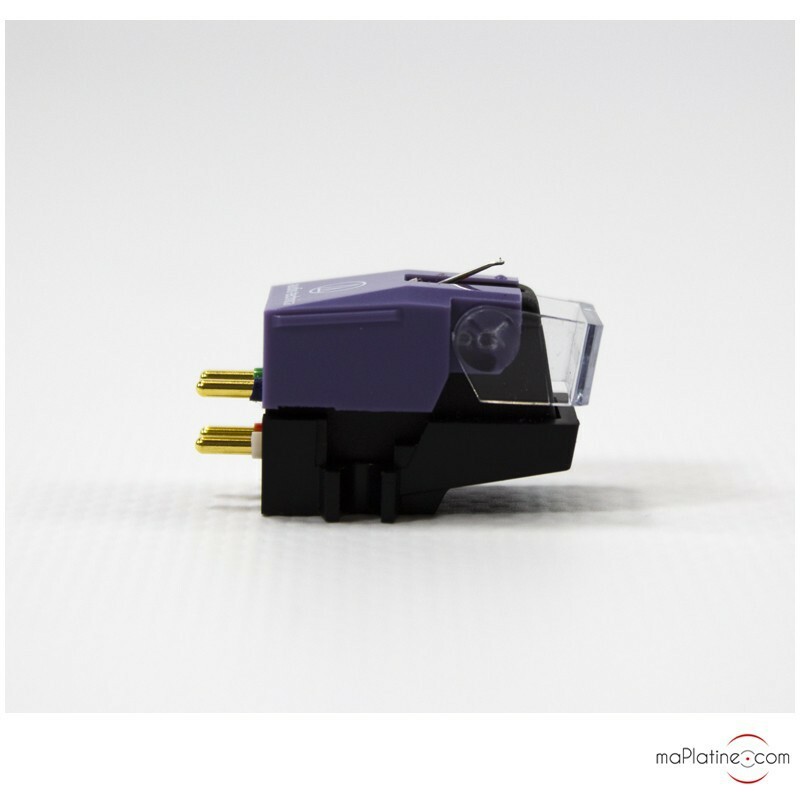 Its weight, combined with the tracking force and high compliance, make it compatible with lightweight tonearms. 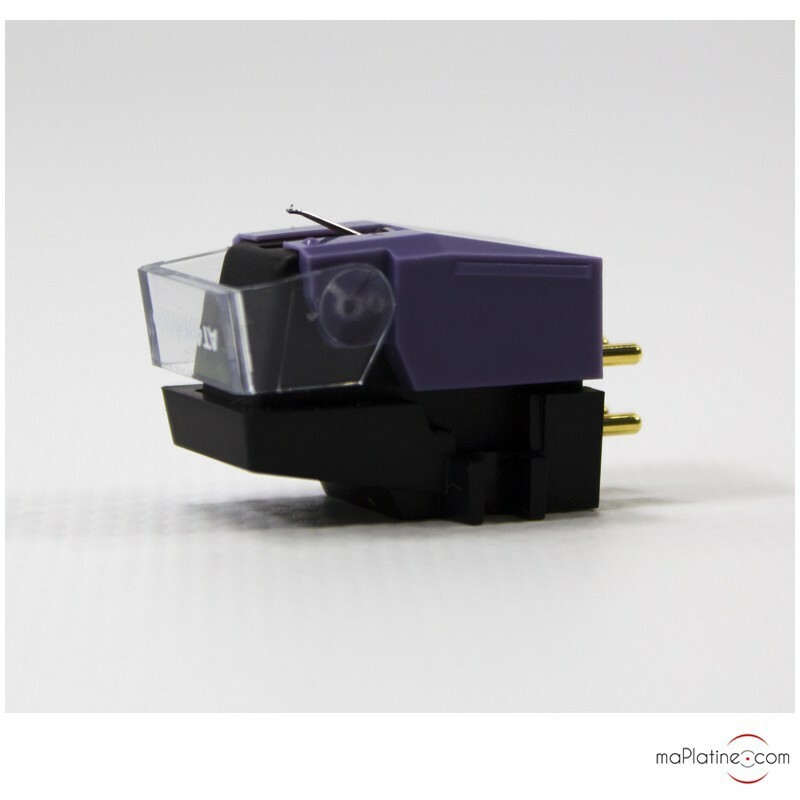 The detailed and clear sonic performance is typical of Audio Technica cartridges. It has the dynamics and vibrancy that one could expect! The frequency response is very broad and flat. Surface noise and distortion are minimal, thus allowing for more transparency and detail. The bass is very authentic, very well articulated and amazingly punchy! 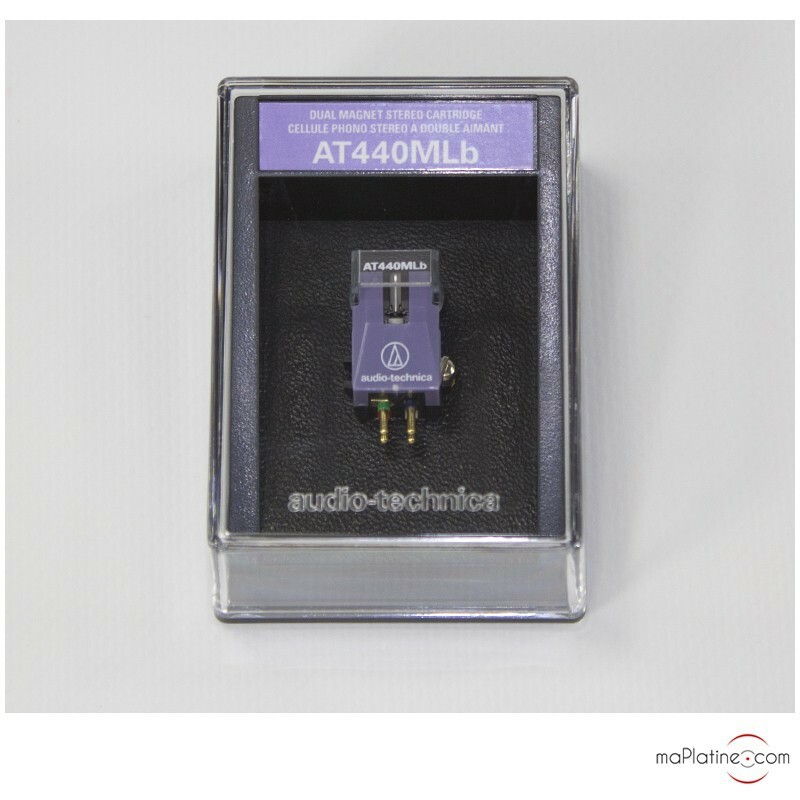 Audio Technica's AT 440MLb cartridge will neatly suit turntables with a rather dull and soft 'vintage' sonic quality. 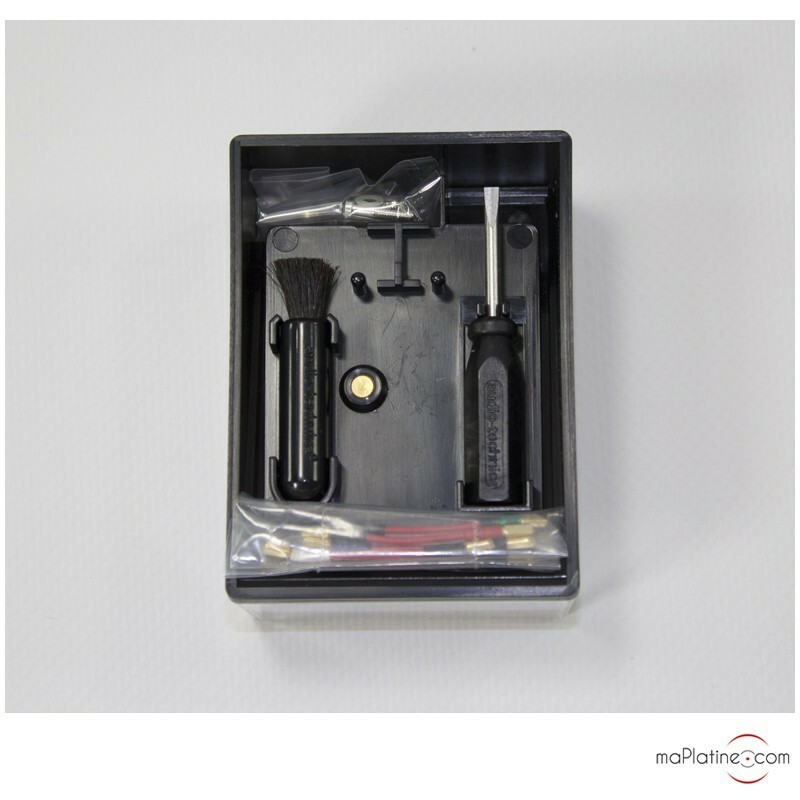 It will revive it, give it more definition, precision and airiness. 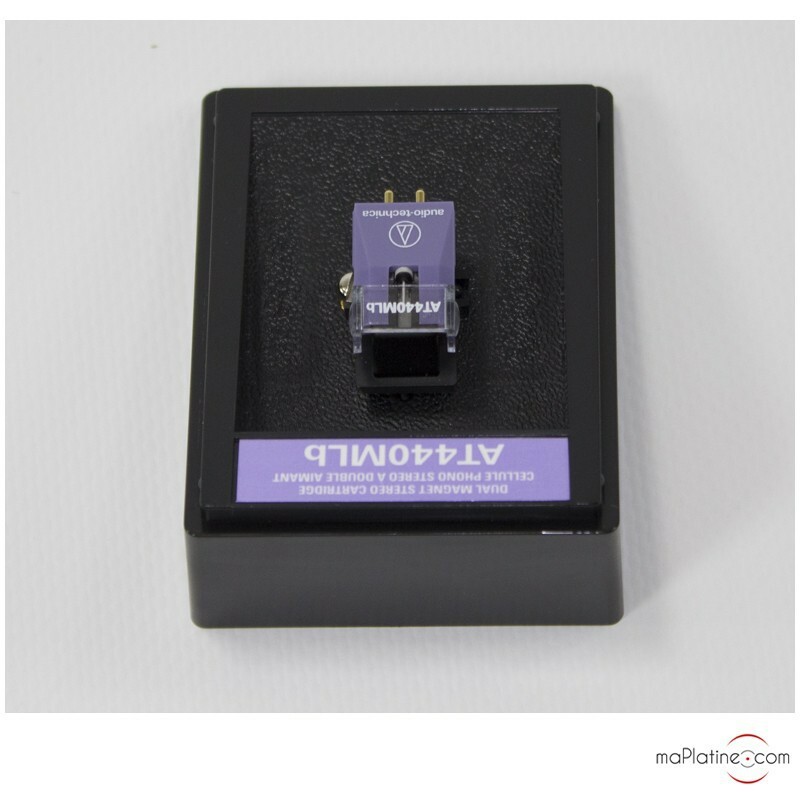 This AT440MLb is one of the top MM cartridges available to date … a fine alternative to Ortofon's 2M or to Nagaoka's MP models. Truly 'high-end' performances at a reasonable price. En remplacement d'une Rega Bias II, cette cellule fait des merveilles. Le montage se fait avec l'indispensable entretoise pour garantir l'horizontalité du bras compte-tenu des 2mm supplémentaires en hauteur. Dans mon esprit, Audio-Technica avait surtout une image bas de gamme : quelle erreur ! La différence est nette et cette AT 440MLb sonne admirablement bien grâce notamment à son superbe diamant qui restitue de nombreux détails avec clarté et dynamisme. La scène s'en trouve encore plus élargie. Au niveau du préampli, j'ai monté le gain à 45 dB pour compenser la tension de sortie plus faible. Cette cellule est hautement recommandable !